Some high school students in Sudbury are learning about giving back to their community. Since September, the Grade 10 Civics class at Sudbury Secondary School has been working on the Youth Philanthropy Initiative, a Canada-wide grant effort that provides money for charities. Some teenagers in Sudbury have been learning about giving back to their community. They are learning about social issues and how charities can help address those problems. Unemployment, hunger and gender-based violence are just a few of the social issues the Grade 10 civics class at Sudbury Secondary School has been learning about since the fall, as the students work on their philanthropy projects. It's part of the Youth Philanthropy Initiative (YPI), a Canadian foundation which provides grants to participating high schools. "It's a great learning opportunity. The students really enjoyed it because they're able to have a chance to give back to their community," teacher Trenessa Beers-Marcolin said. She applied for the grant last fall, just before the students began working on their projects. 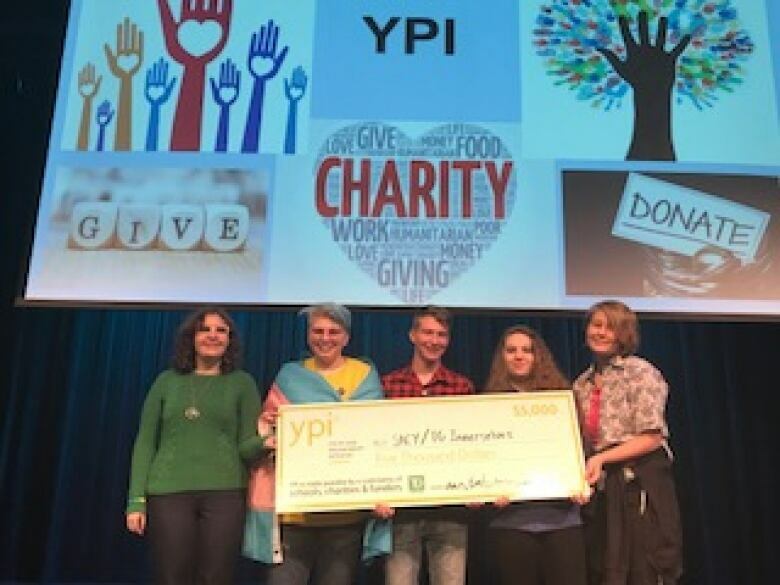 This is the first time Sudbury Secondary School has participated in the YPI grant. "We were sort of just looking for something new and exciting to do in class, and stumbled upon this." According to Beers-Marcolin students broke off into groups, then chose a social issue they identified with, and then found a local charity that addressed that particular issue. The students all had to do site visits to their chosen non-profit organization. "A lot of them didn't realize all the amazing charities that we have in Sudbury," Beers-Marcolin said. She added that there were a lot of teachable moments during the course of the project work. "You get all the teamwork-building skills, the leadership, working in groups and then they got to work on their presentation skills as well," she said. Student Dieter Lische-Parks and his group have been researching the social issue of hunger. They chose the food delivery program, Meals on Wheels in Subdury as their charity. "Some of us have actually connected to this issue personally, and we just really wanted to make a change," he said. "I had no idea of all these social issues that were going on...but then when we did our research we looked it up and wow, I was really [misinformed]." Emily Maville and her group chose Sudbury Action Centre for Youth (SACY) and how it helps transgender and non-binary youth around the community. "For me it kind of spoke out to me because I am a part of this LGBT-plus community, and I wanted to help people in my own community that are suffering," she said. She hopes her group can educate the rest of the students at the school about the issue. "We want many people to be aware of this charity and this social issue because it is such a big thing, especially in modern age as people are becoming more aware of what's around them and who they are," Maville said. She added that the Youth Philanthropy Initiative would benefit other schools that may be considering it. "It establishes connection to the community and the youth, and the youth are able to learn more about their communities." Grade 10 student Madeline Archer and her group focused on unemployment. "I've sort of seen it. There's lots of homeless people looking for work." She says working on the philanthropy project helped her learn more about Sudbury. "It connects people to their community, but it also makes them aware of issues that could be surrounding them," Archer said. "I didn't know that most of these issues really existed in my community, so now I'm a bit more educated." The student groups presented their research to the rest of the Sudbury Secondary School population on Thursday. The students and a judging panel then voted on a winner based on the most compelling presentation. The winning team, made up of seven students, had chosen gender-based violence as their social issue. They handed over a cheque for $5,000 to the chosen charity, the Sudbury Action Centre for Youth (SACY). Beers-Marcolin says she will definitely be incorporating the philanthropy project to future Civics students. "Sometimes students think they're too young to help out, but it just shows them that anybody can make a difference in their community."